Home SCIENCE SPACE Medicine & health - news Can UV exposure reduce the risk of melanoma? Can UV exposure reduce the risk of melanoma? A German study shows that moderate UV exposure can have a positive effect on skin cancer. Scientific studies have repeatedly shown that regular, moderate UV exposure contributes to protection against various types of cancer as well as many other diseases such as multiple sclerosis. 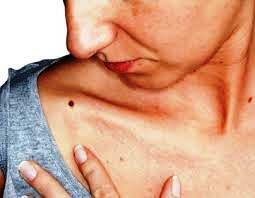 There is a continuous increase in melanoma and basal cell carcinoma (BCC) incidence in Europe. Therefore, a team of German scientists led by P. Kaskel from the Department of Dermatology at the University of Ulm studied the effects of UV exposure and risk of melanoma and BCC. Their study has now been published in the scientific magazine „Journal of the European Academy of Dermatology and Venereology”. In their study the scientists found that UV-related risk factors for skin cancer are intermittent sun exposure and a history of sunburns. In contrast to that, frequent sun exposure may be protective. The results show that moderate sunbed use may also reduce the risk of developing melanoma. „The study of the German scientists shows once again that frequent, moderate sunbed use can have a positive effect on human health. The risks of sunburn and overexposure are well known to the public. However, the benefits of moderate UV exposure often receive too little attention in the media”, Ad Brand, spokesperson for the Sunlight Research Forum (SRF), explains. Next articleThe Italian Community the Business Directory for Italians in the UK.